Associated Bank volunteers provide major support at the Storm the Bastille run. Earlier this year, Associated Bank entered into a new agreement with the East Town Association as the official sponsor of the Storm the Bastille Run. 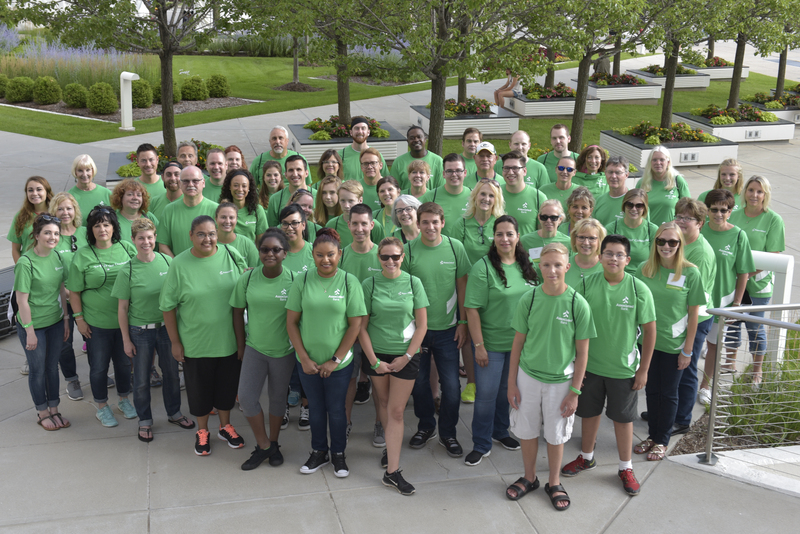 Held each year in July, the run attracts nearly 5,000 people to downtown Milwaukee, providing a prime opportunity to create awareness and differentiate Associated Bank as a premiere financial services provider in the marketplace. The Storm the Bastille Run is a 5K run/two-mile walk that kicks off the annual Bastille Days event, a free four-day festival that attracts more than 250,000 visitors to enjoy live music, an international marketplace, French and Cajun cuisine and more. Runners and walkers line the street the first night of the event for a 9:00 p.m. gun time, wearing an Associated Bank glow-in-the-dark wristband to light up the course as they go. Associated Bank volunteers — seen in a sea of green shirts throughout the course — came out in full force to help execute the event. Sixty colleagues, along with their family members and friends, volunteered at the start and finish lines of the race, as well as at the hospitality tent and water stations. In total, they dedicated more than 250 volunteer hours in support of the event.